Hi everyone! Suwabe (@gsc_suwabe) from the Corporate Planning Division here! On rainy days I used to enjoy watching my siblings playing TV games! 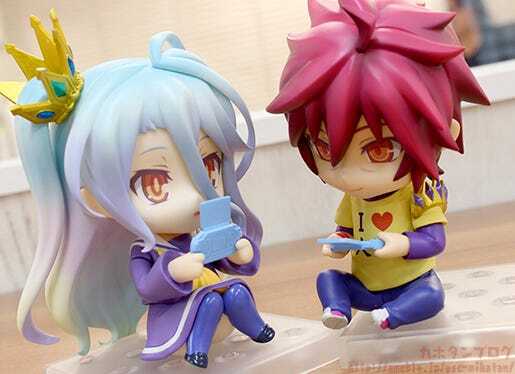 From the anime series ‘No Game No Life’ comes a Nendoroid of the younger of the ‘Kuuhaku’ gamer siblings – Shiro! She comes with three different face plates including her standard expression, the crying expression she had when she was first summoned into the game world as well as a worried expression that can be used for all sorts of different poses! Optional parts include a playing card, a smartphone that matches Sora’s and a gaming console. Sitting parts are also included for even more display options! 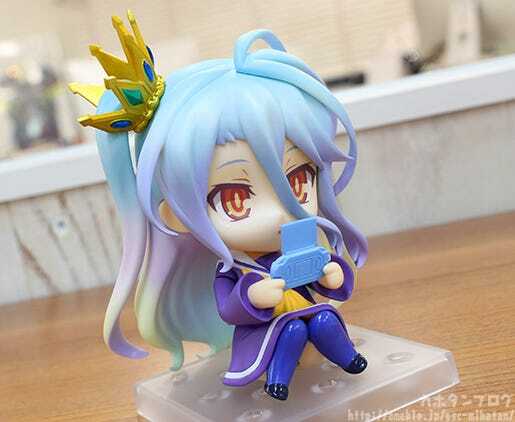 Also note how beautiful her long rainbow-colored hair looks even in Nendoroid size! 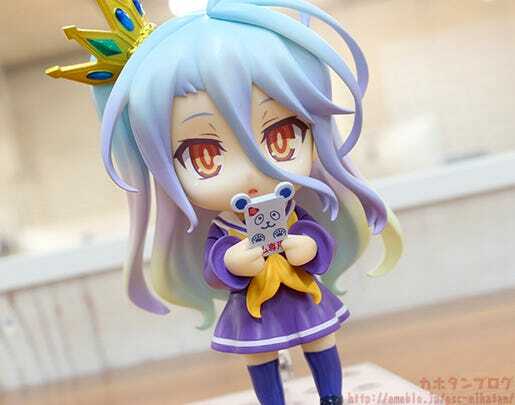 Be sure to display her with Nendoroid Sora who will be available for preorder at the same time! 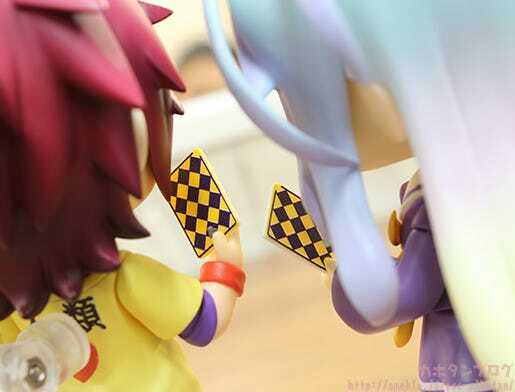 The younger of the unrivalled gaming siblings ‘Kuuhaku’ is joining the Nendoroids! 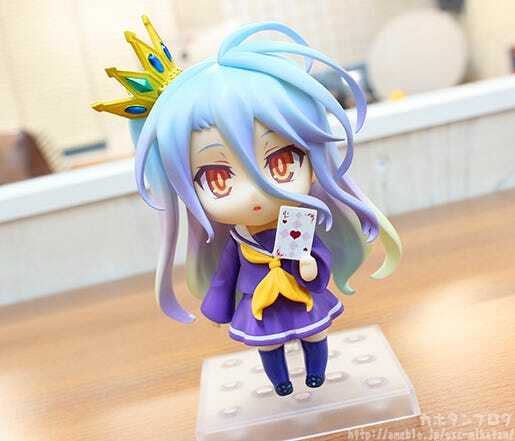 The purple uniform with the eye-catching yellow scarf, the crown on top of her head and even the unique colored gradient of her hair have all been converted into Nendoroid size! ▼Just look at this beautiful GRADIENT! Perhaps one of the most charming things about Shiro’s design is her long and colorful hair! The gentle colors that move from a gentle light blue to pink, orange , and finally a tip of green! It looks so lovely in figure form! This is still the prototype, but the final version that joins everyone’s collections will be just as stunning! I know everyone has their own ideal image of characters in their mind, but my ideal version of Shiro is with this expression! It’s like she is innocently trying to get her way… who could say no to this expression?! ( ;∀;) Ahhh!!! Thank you for being so cute!! Depending on how you look at it, it it can also look like she is thinking about some kind of puzzle in a game! The hand part with her thumb out is included! A crying expression based on when they were first sent to the alternate world! You can also use it for various other scenes as well – maybe she just lost a game against Sora! The ‘Kuuhaku’ siblings are all about their games, so they just had to include a gaming console! The smartphone has a cute cover with ears and reads ‘For Gaming Only’ on the bottom! It’s such a small part but the details are lovely! 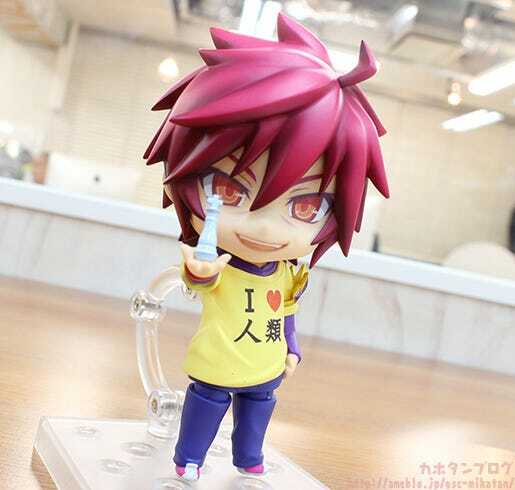 In Japan, Nendoroid Sora will only be available as a bonus included with the special edition of the novel, but those outside of Japan will be available to preorder him from the GOODSMILE ONLINE SHOP as well as our partner shops during the same period as Nendoroid Shiro! Let’s take a closer look at him while we’re at it! 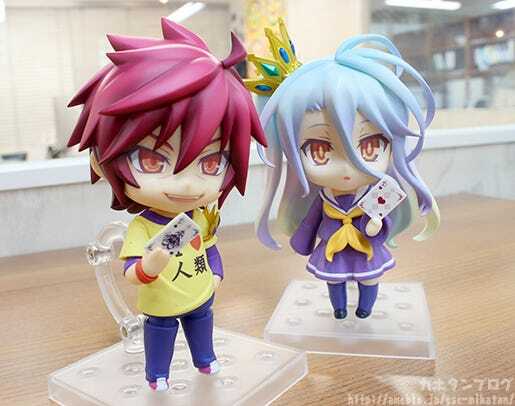 From the anime series ‘No Game No Life’ comes a Nendoroid of the older of the ‘Kuuhaku’ gamer siblings – Sora! He comes with two different face plates including his standard expression as well as a gentle smile for poses together with Shiro! 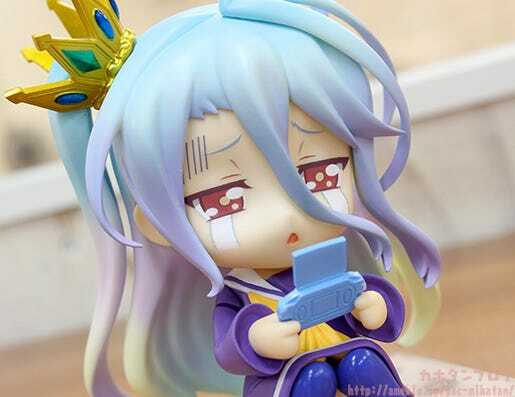 Optional parts include a Race Piece, a playing card, a smartphone that matches with Shiro’s as well as a gaming console. Sitting parts are also included for even more display options! 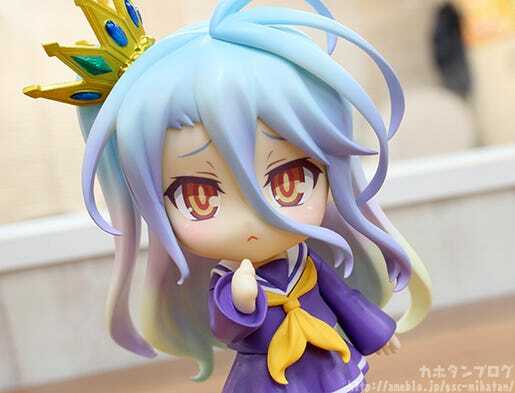 Be sure to display him with Nendoroid Shiro who will be available for preorder at the same time! 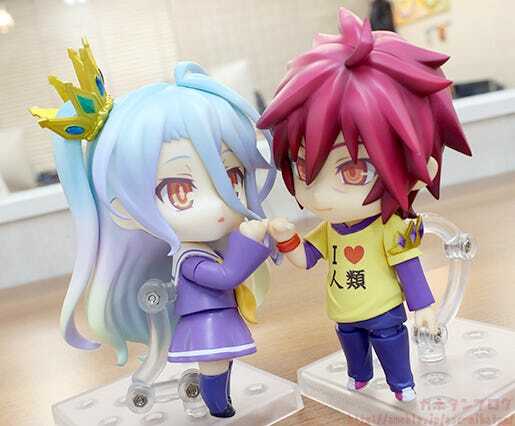 Shiro’s older brother Sora will also be joining the Nendoroids! His unique eyes and the little details of the shades on his hair is also very impressive! 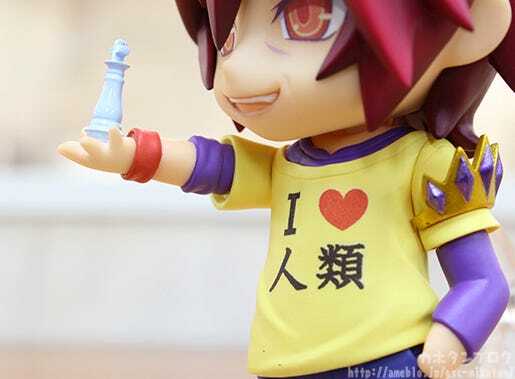 His “I love Mankind” T-shirt has also been shrunk down to Nendoroid size nicely! ▲ He comes with a ‘Race Piece’ – one of the key items in the series! ▲ They also each come with a playing card! 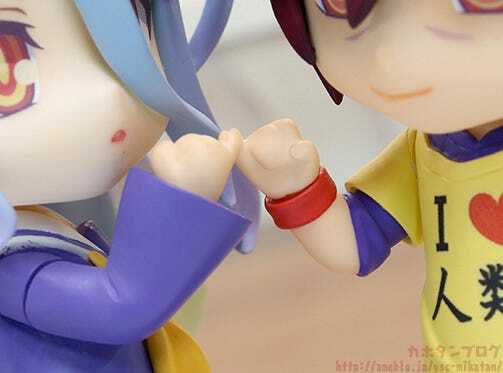 Parts to display them making a Pinky Promise are included with Nendoroid Sora! She’ll be available for preorder from the 14th July 2016 JST! 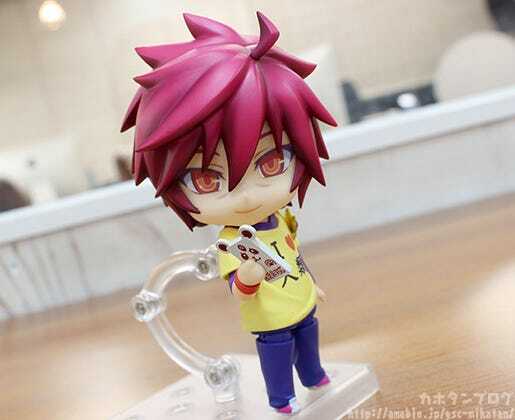 Nendoroid Sora will also be available for preorder to countries outside Japan from the same date! 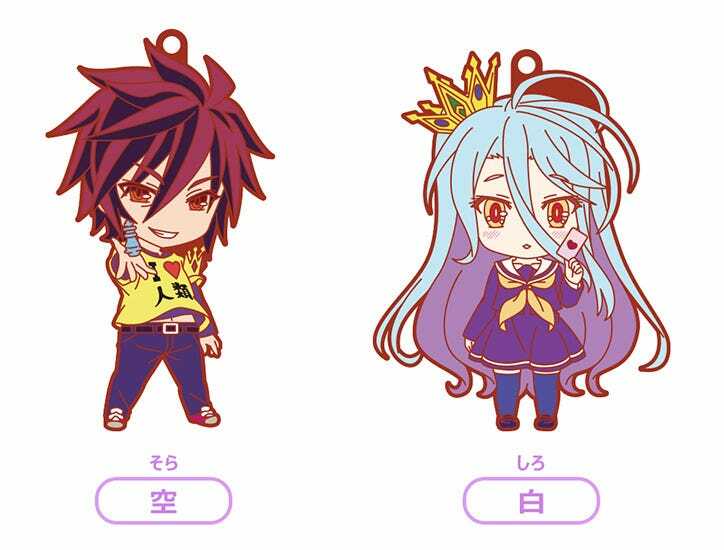 This ‘Nendoroid Plus: No Game No Life Rubber Straps – Sora/Shiro Set’ will also be up for preorder on the same date! Make sure you don’t miss out on anything! Anyway that’s all from me for today! See you all again tomorrow!